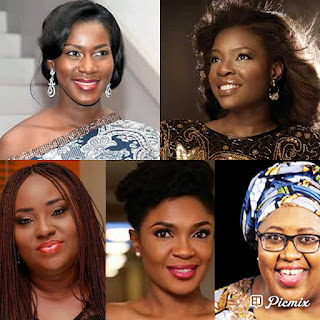 The women have proven themselves to be as good as the men in Nollywood both in front of the screen and behind it. This week, Weekend Magazine takes a look at the top female directors in the industry. Omoni’s talent isn’t just limited to acting. She’s also a star behind screen as well. She made her directorial debut in 2014 with the movie ‘Being Mrs. Elliot’ and afterwards went ahead to direct and produce ‘First Lady,’ ‘Okafor’s Law’ and the ‘Wives on Strike’ movies. All these were box office successes and made her a director to be reckoned with. ‘Jezebel’ was Emem’s big break back in 1994. Afterwards, she went ahead to do her own solo projects with movies such as ‘Critical Decision’ and ‘Promise Me Forever’ before she made her directorial debut in 2014 with ‘Champagne’ and ‘Code of Silence’ in 2015. Emem is credited for paving the way for many other females in the industry who became producers, directors and actors too. Her works have appeared worldwide including on BET and Netflix. The director of blockbuster hit ‘The Wedding Party’ and ‘Wedding Party 2’ established her as one of the best directors in the game. From a music video director, she went big after directing the short film ‘Across a Bloodied Ocean’ to critical acclaim. Another Nollywood star who has proven herself to be multitalented both in front and behind the camera is Stephanie Okereke. Afterfinishing from the New York Film Academy in 2007, she released her directorial debut, ‘Through the Glass,’ in which she also starred, wrote and produced. Her movie ‘Dry,’ which she released in 2014 won numerous awards at the 12th edition of the Africa Movie Academy Awards and Africa Magic Viewer’s Choice as well.